TULSA, Okla. – Preliminary action for the 33rd annual Lucas Oil Chili Bowl Nationals presented by General Tire begins today inside the River Spirit Expo Center. In advance of the event, SPEED SPORT wanted to go over the format for the annual midget racing extravaganza. The format has been changed slightly with the addition of a Monday preliminary night event. This year only the top-two in each night’s A-Feature will lock into Saturday’s 55-lap championship main event. 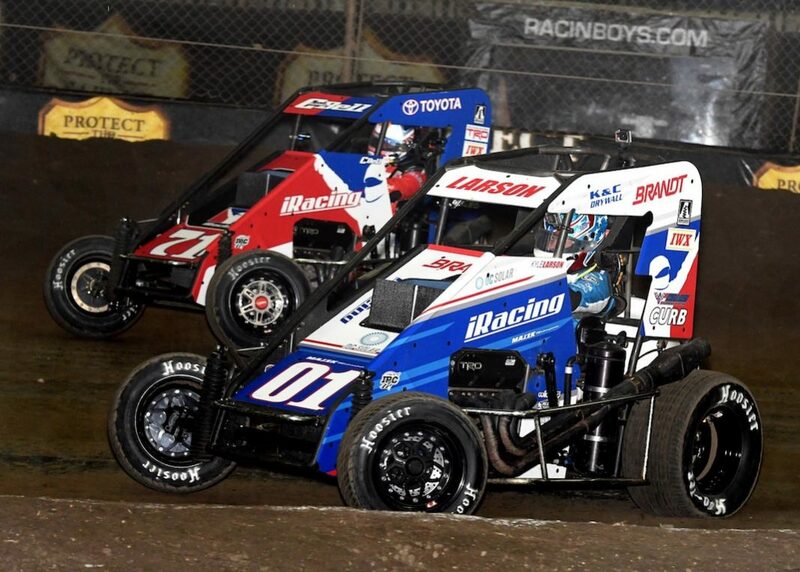 Previously the top-three finishers in each preliminary feature advanced to the Chili Bowl finale. The driver who draws lowest number will start on the pole of Heat 1, second lowest number on the pole of Heat 2, etc. Advancement from heat race to features is based upon passing points earned in heat race and qualifying races. Passing points are based upon car starting position when the yellow light goes out prior to the initial start of the heat or qualifying race. The 40 drivers earning the most passing points advance to Four “A” Qualifying Races; drivers in passing points positions 41-68 will go to two C Main races. The two C Main races will have 16 cars 12 laps in length. The four qualifying races will have 10 cars each with the top 16 in combined passing points from the heats and Qualifying races advancing to the A Main. The balance of the cars (24) from the “A” qualifying races will advance to two 16 car B Mains. The top four in each B Main will advance to the A Main, going 25 laps. There will be 24 drivers in each Preliminary Night A Feature. The top two drivers in the Preliminary A qualify for Saturday’s A Main. The lineup for the top 10 cars in the A feature will be determined through the Pizza Express Chili Bowl Pole Dash. The five A feature winners will draw 1-5, followed by the five drivers who finished second drawing 6-10 to seed the Pole Dash. Each of the races will have two cars and be three laps. The two lowest seeds, 9 and 10, will run a two-lap, two-car race to start the Pole Dash. The higher seed will receive lane choice, high or low, prior to the race. The winner of each race will face the next highest seeded driver in the next race. Once a driver loses a race they are eliminated, while the winner stays on the track. The driver who wins the last race will earn the pole position. A driver’s position in the A Main will be determined by where they finish in the pole dash. All positions in races other than Saturday’s A-Main will line up upon the original draw of the winners prior to the pole dash. Seven drivers will advance from each B main to the A for a total of 24 cars with Provisionals set aside for the defending Chili Bowl champion and VIROC winner should they not transfer. There will be two B mains, with 20 drivers in each B main. Drivers finishing in C feature positions 13 on back will qualify for the O Main. Note that cars that started will be given priority over cars that did not take the green flag in a C feature.